Located in the eastern part of the island, Flacq is the largest district in the country with an area of 298 square kilometres. Largest district also suggests a lot of things to do. For one, beach lovers will not be disappointed since Flacq boasts one of the most beautiful beaches - Belle Mare. If you are looking for something more adventurous, hop on a boat at Trou d’eau douce and discover the island called, Ile-aux-Cerfs, an all-time tourist favourite. 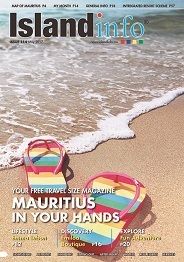 Otherwise, if you fancy a bit of shopping and a bargain, just head towards Central Flacq and find an array of items made in Mauritius. Golf, Shopping, beaches, historical ruins, temples, waterpark, lle-aux-Cerfs....Flacq is the home to all of the above. once belonged to the Mamarou family. A slave prison also stands defeated by time, as a sad reminder of the fate of the man in chains under the colonial rule. However, do not let yourself be overwhelmed by the history as Flacq has a lot to offer! Here is a list of some musts! fantabulous day appeal to you?? If yes, contact Le Touessrok hotel or Belle Mare Plage for unique golfing sessions on their five star golf courses! Ile aux Cerfs is a haven for sea andbeach lovers as well as amateurs of water sports. Its natural beauty is sought after by a number of 800 people a day! Its large expanse of beaches and inviting, warm sea water will enchant those in search of some nice relaxing day. Otherwise, the more energetic will enjoy parasailing, water skiing and much much more. Port of embarkation is Trou d’eau douce and it takes 25 minutes to reach the island unless you take a speed boat! Once you head back to Trou d’eau douce, make sure you make the most of some souvenir shops and do not disregard the glass bottom boats you can also use to explore the blue lagoon. 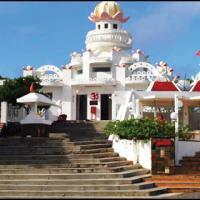 sides of the road, you will also be intrigued by a very particular temple called the “ShivaSagar”. This temple was built on water and is also known as the floating temple. Belle Mare is home to some of the best hotels on the island, namely, Le Saint Geran, Le Coco Beach, Le Residence, Beau Rivage, Belle Mare Plage, Le Prince Maurice, Le Palmar and more. This is so because the Belle Mare beach is truly one of the best in the world. Wide sandy beaches overlooking dancing waves slowly crashing into the reefs is the kind of sight you will find there. You will have the choice to enjoy the sea on kayak, whilst kite surfing, by parasailing or simply by taking a dip! Make your pick!